The Bill Parkes Memorial Tournament (BPMT) took place this weekend at the Woodstock Badminton Club (WBC). In total, 102 athletes participated in 10 events representing secondary schools and badminton clubs from London, Ingersoll, Woodstock, Strathroy, Clinton, Guelph, Kitchener-Waterloo & Brantford. Performances of note included Christopher Nelson, who went undefeated in a large pool of Junior Boys to win the Junior Singles title. His sister Christina, also undefeated in her draw, went home with gold in Junior Girls Singles. The Nelson siblings also took home medals in doubles play on Sunday – Christopher a silver, and Christina another gold with partner Allison Larass, making it two golds for Christina Nelson. 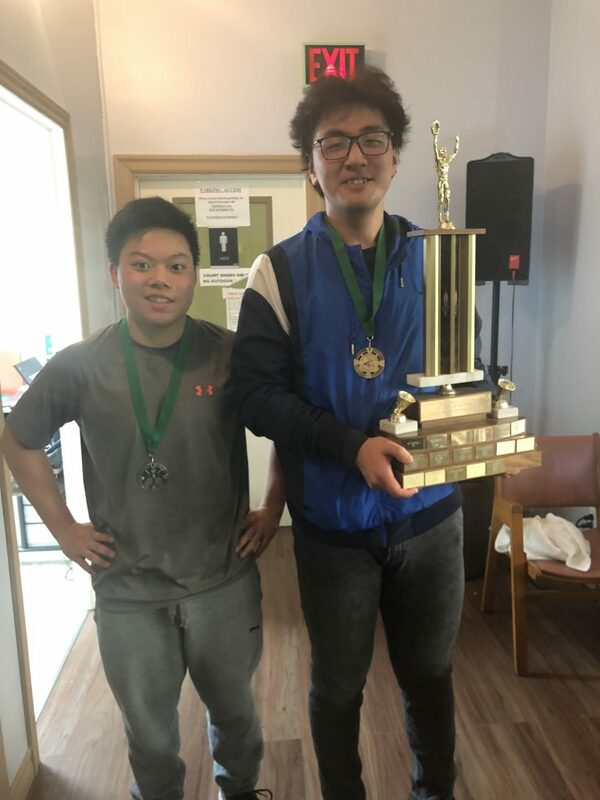 Matt Zu, Woodstock Badminton Club, also turned in an outstanding performance to go undefeated in a talented pool of Senior Boys to capture the singles title as well as a silver in boys doubles. Woodstock Badminton Club members and students in the high performance squad with notable performances included Matt Wilker, Derek Neeb and Zhao-Yu Tan. Tan captured silver in Senior Boys Singles after several hard fought battles to make it to the finals. His finals match with Matt Zu was very exciting to watch. Neeb placed 4th in the draw of 20 and Wilker tied for 5th place in Senior Boys Singles. Neeb and Wilker also faired very well in the Senior Boys Doubles draw on Sunday. They fought back through the consolation round to make it to the consolation finals. After a very close match with Matt Zu and his partner Adriaan Van Raaij that went 3 very close games, Neeb and Wilker took home the bronze medal. On the girls side, Kristen Anguish fought through adversity and a strong field to make it to the finals, eventually capturing a silver medal. Way to go Kristen! The Woodstock Badminton Club had several youth members who competed in their very first tournament. Notably, Alistair Downing and Will Waters placed 4th in Junior Boys Doubles in a strong pool of players, winning 2 of their matches. Also representing themselves well were Tyler Atkinson and Braeden Doucette who showed signs of exciting singles play and something to watch in their near future. A special thank you to Andrew Downing, Tournament Director, who ran a flawless and extremely well organized event that was enjoyed by all. Thank you for your generous volunteer time Andrew for the benefit of all! Results and photos can be found here. Woodstock High Performance Squad Rocks it in Leamington!